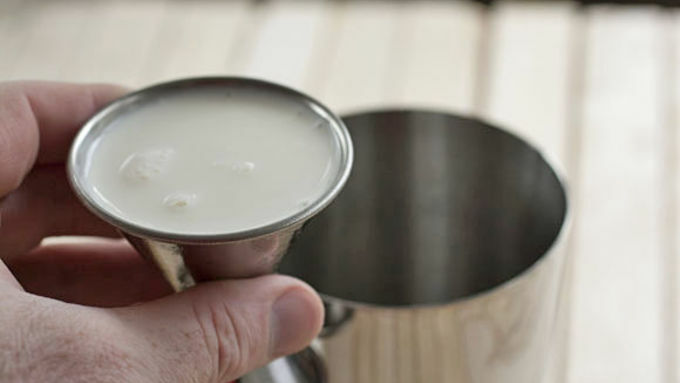 Add vodka and half-and-half to a cocktail shaker and shake well with lots of ice for about 10 seconds. 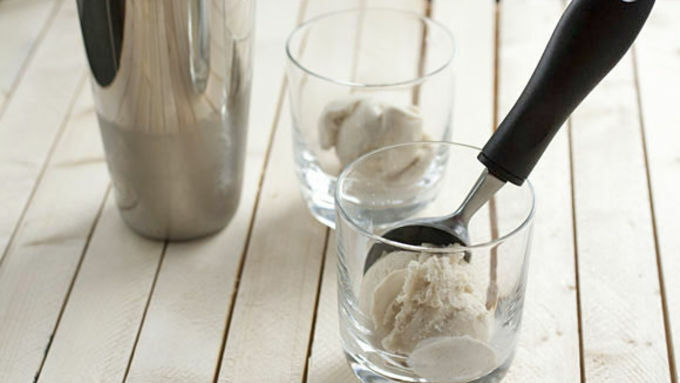 Add a big scoop, about 1/2 cup, of vanilla ice cream to a small cocktail glass. Strain cocktail over ice cream. Pour Kahlua over top of the float. Garnish with mint and serve immediately! I own three DVDs. One is a workout DVD, one is a Neil Diamond live album, and one is The Big Lebowski. It’s one of my favorite movies of all time and I went through a phase where I drank a lot of white Russians just because, well, I like The Dude. 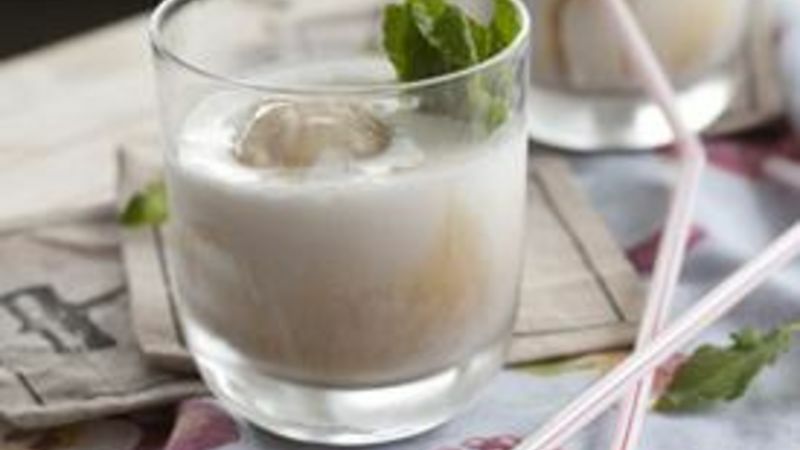 It’s too hot these days for a simple white Russian. It needs to be colder! So that’s why I created The White Russian Float. 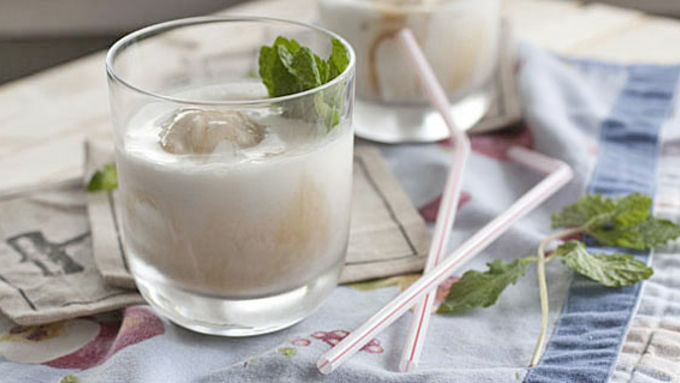 It’s a white Russian, but it’s so much cooler. As a former bartender, I can say that one of the most important things to do when making a cocktail is to measure. Even if I’ve made a drink a hundred times, I still normally measure it. The flavors are so strong with each liquor that you want to make sure everything is balanced nicely. So measure out your vodka and half and half. Note: You don’t have to use Kahlua for this. 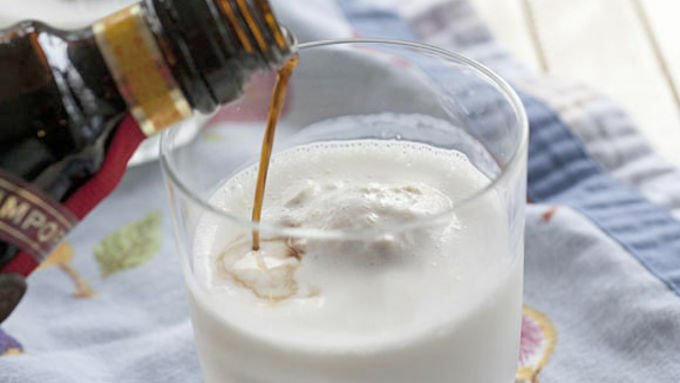 It’s the standard in a white Russian, but you could use almost any coffee or chocolate liquor and end up with a really delicious dessert. I like to garnish my floats with some mint and toss in a few colorful straws. I also like to eat them as soon as possible! The Dude abides and so should you. 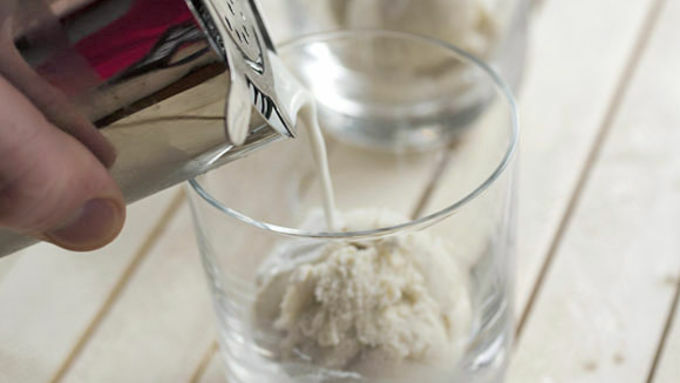 Make these and beat the heat this summer!